Home / Who Owns a Data Center Infrastructure Management (DCIM) Project? Who Owns a Data Center Infrastructure Management (DCIM) Project? The value propositions of an effective data center infrastructure management (DCIM) deployment are too great for any organization to ignore. DCIM can lead to massive energy savings and streamlined operations; both benefits amounting to lower operational expenses. Although these are goals that every organization strives to achieve, it’s not always clear who should take ownership over the project – IT or Facilities. So who really owns a DCIM project? First, it’s important to note that while IT and facilities managers each have their own unique set of responsibilities, they also share several common objectives such as ensuring the availability of services, improving energy utilization, and increasing operational efficiency. So, there’s no reason that any one group should take ownership of the DCIM deployment. Rather, both groups can work together to take ownership over the parts of the solution that are best aligned with their day-to-day responsibilities. In fact, when facilities and IT collaborate using an integrated DCIM solution, they gain the tools and insights necessary to monitor and manage both the data center environment and devices in the rack in order to better meet organizational objectives. Outlined workflow processes within the DCIM solution ensure work orders are executed effectively and companies reap additional benefits from being able to deliver services to customers faster and with added reliability. So keep in mind that when it comes to DCIM project ownership, the highest rate of success comes from IT and facilities working together to identify goals, requirements, and use cases in order to assign roles and responsibilities that begin during deployment and continue through the solution life cycle. 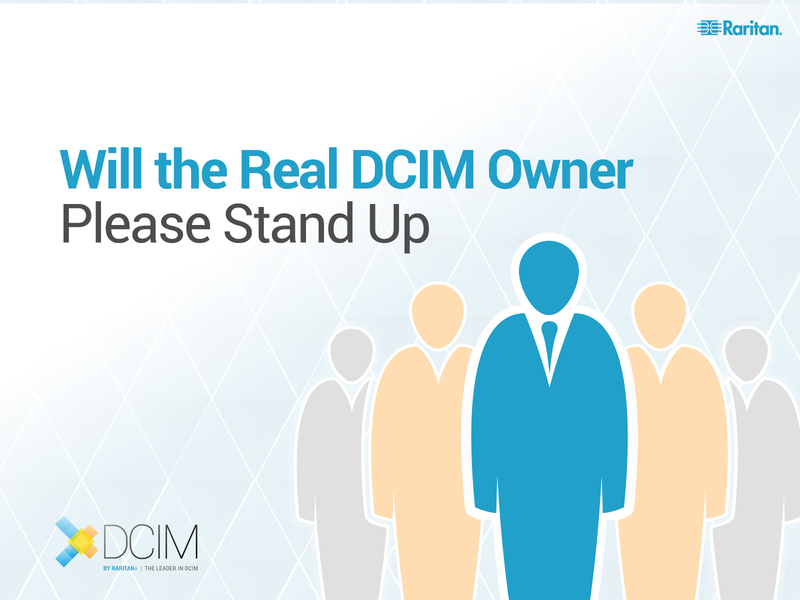 To learn more about effective IT and facilities DCIM project collaboration, download “Will the Real DCIM Owner Please Stand Up” – a guide to jointly managing a DCIM solution.